Lorenzo Licciardello began his career as a jeweller in the 60’s in the best laboratories in Rome, learning the secrets of the goldsmith's art. 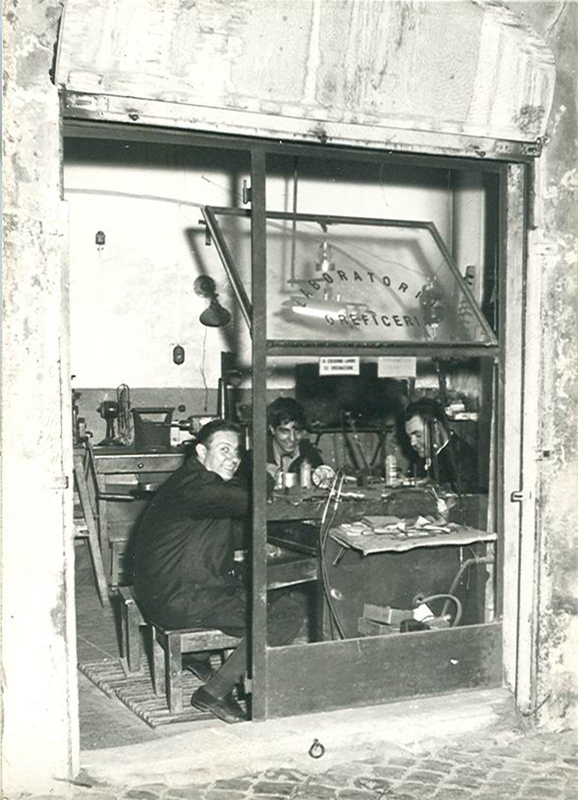 In 1972 he opened his first workshop in Via Panisperna, in the Monti district, where he made high-class jewellery. After five years he opened his shop, with an internal workshop, in Via dei Serpenti, 31. Since the 90’s, his son Massimo, after completing his studies, begins to learn this beautiful art, finding natural designing and making jewellery with refined and innovative taste. Today the company has grown, now in its second generation, Massimo carries on the project that Lorenzo started 45 years ago, keeping the craft imprint unchanged, putting in always the same passion and attention to detail, in order to fully satisfy the requests of the client. In addition to our creations, you can admire in our showcases high quality jewellery, selected by us to offer our customers a wider range of styles and price ranges too, to choose from. In the shop/workshop in Via dei Serpenti No. 5 in Rome, you will have at your disposal all our experience and courtesy, we are sure we will be able to find or create with you the unique object you desire.